436 pages | 180 B/W Illus. 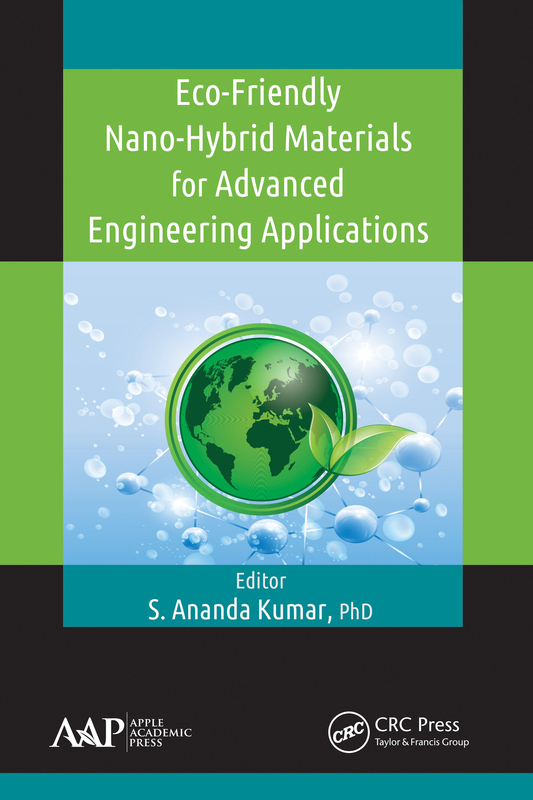 This new book focuses on eco-friendly nanohybrid. It clearly summarizes the fundamentals and established techniques of synthesis and processing of eco-friendly nanohybrid materials to provide a systematic and coherent picture of synthesis and the processing of nanomaterials. The research on nanotechnology is evolving and expanding very rapidly. Nanotechnology represents an emerging technology that has the potential to have an impact on an incredibly wide number of industries, such as the medical, environmental, and pharmaceutical industries. There is a growing need to develop environmentally friendly processes for corrosion control that do not employ toxic chemicals. This book helps to fill this need. This volume is a comprehensive compilation of several trending research topics, such as fouling, energy-storing devices, water treatment, corrosion, biomaterials, and high performance materials. The topics are approached in an encompassing manner, covering the basics and the recent trends in this area, clearly defining the problems and suggesting potential solutions. Srinivasan Ananda Kumar, PhD, is a professor of chemistry at the Anna University, Chennai, India. He is a recipient of the Erasmus Mundus External Cooperation Window (European Commission) Visiting Research Fellowship. As a member of staff at Anna University, he has supervised more than 45 postgraduate students (MSc and MTech) and several MPhil and PhD students, reviewing, evaluating, and validating experimental data resulted from their project/PhD work. Dr. Kumar won the Active Researcher Award of Anna University for the year 2014 for his outstanding contribution to the field of nano-hybrid coatings and composites. His research team were runners up for the National Award for research on for petrochemicals and downstream plastic processing from the Central Ministry, Government of India, in February 2015. The author over 40 scientific papers in international journals and several book chapters, Dr. Kumar has developed many technologies for the prevention and remediation of corrosion, fouling, and flame. Dr. Kumar’s research accomplishments include the synthesis and characterization of phosphorus containing epoxy and siliconized epoxy coatings and nanocomposites as having superior properties. His current research topics comprise a variety of novel organic-inorganic hybrid POSS-epoxy and nano-hybrid coatings and nanocomposite with anticorrosive and anti-bacterial properties.